“Green Building” can be a daunting element to include in any design plan. 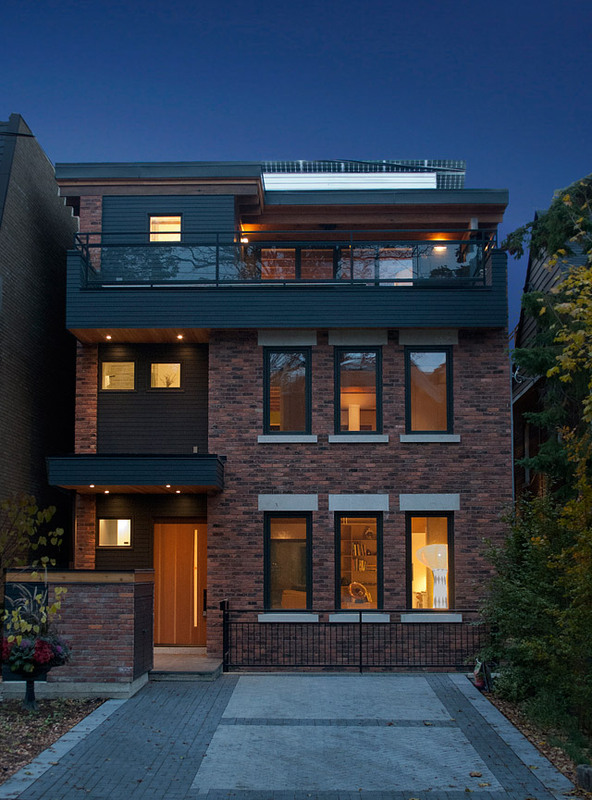 There’s no doubt its tough to grow with new technology and building materials as they are rapidly changing. 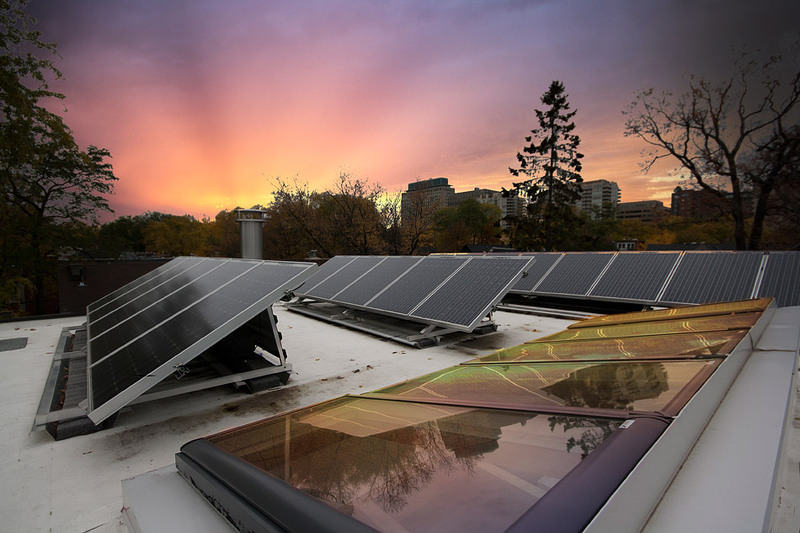 Below are some ideas we’ve tested and used successfully in a few of our recent projects, and after you read this article you will have a much better understanding of how to build an eco house. In 2017 we were rewarded with LEED platinum certification on a new build at 27 Farnham Ave. It was the first house in Ontario to receive the same accreditation. 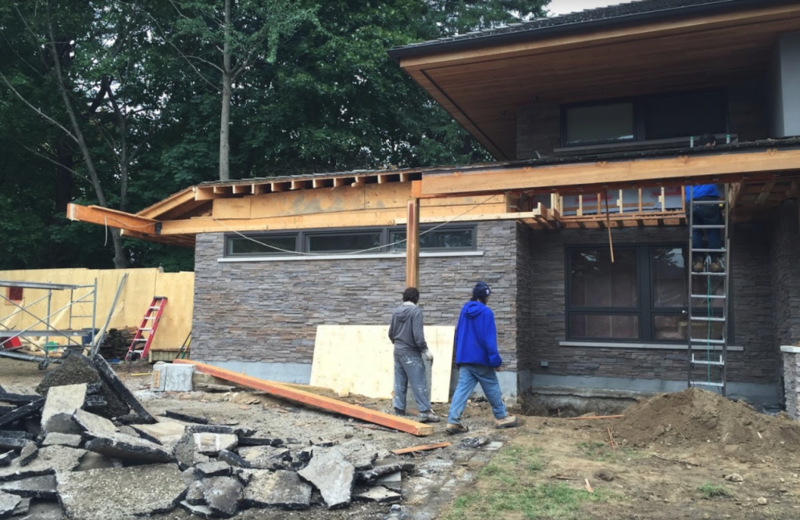 In this article we’ll uncover a bit of what went into the building process. One aspect was our building decisions. For example: we built the place from the ground up with 80% recycled elements. But it still had lots of cool tricks to go with it. Like geothermal heating through ‘water to water’ heat pumps and bottom up radiant floor slabs, geothermal cooling and top-down supply air ducts. For cold weather humidification we installed steam humidification through the air duct system. High efficiency HEPA air filtration. 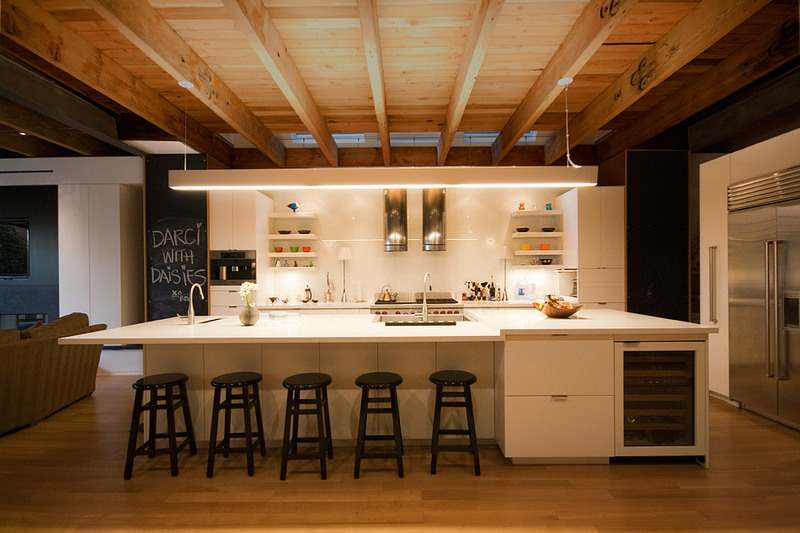 High quality design is an essential pairing with high quality appliances. But you know what else is easy to implement and makes a huge difference? Insulating your walls with thick material saves a whole lot of energy, so it was important to us in this design. Most of the house is insulated with R-35. The lowest level is insulated with a concrete slab and R-20. 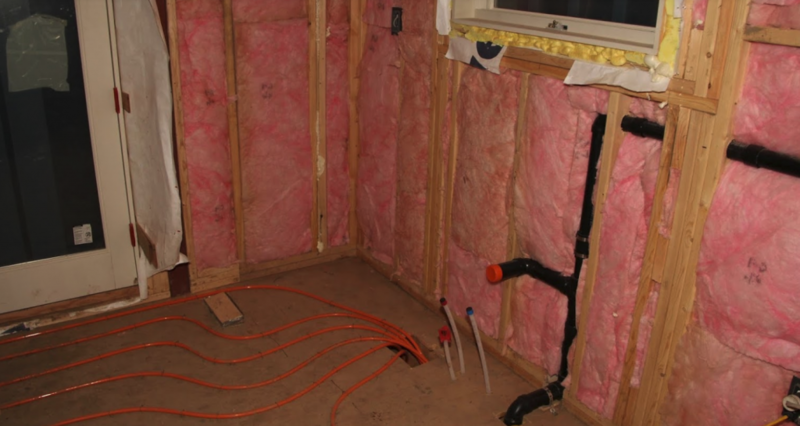 We even used renewable vegetable-based foam insulation. The thermal wrap of structural framing is done with exterior polyisocyanurate (PIC), foil faced insulation panels (zero hydrochloroflourocarbons HCFCs), which eliminates 95% of thermal bridging. Multi-faceted air-tightness measures were implemented to create controlled indoor environment. Things like taping and caulking of PIC joints, and spun bounded polyolefin air barrier. The materials were sourced locally for the most part. Triple glazed windows (low-E, argon filled, thermal edge spacer) with Douglas fir wood frames, a Canadian manufacturer. 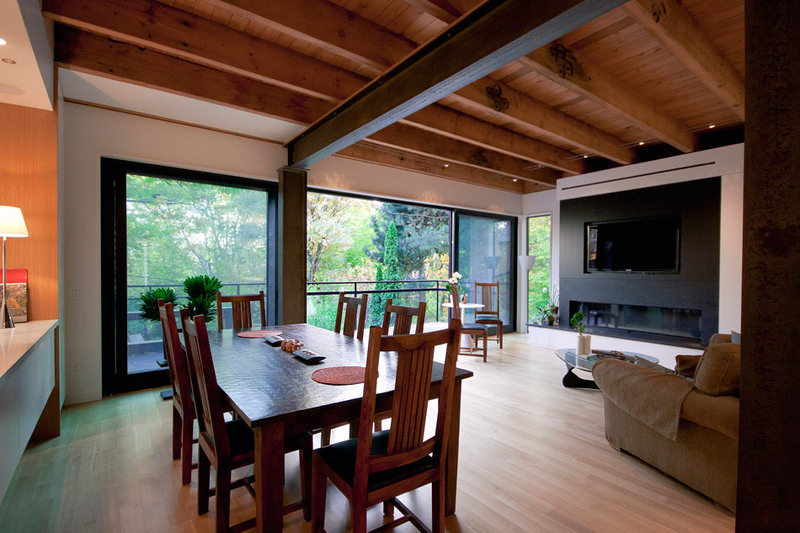 Sliding glass doors with Forest Stewardship Council (FSC) solid white oak frames and heat mirror, krypton filled glazing with thermal edge spacers by a local manufacturer. ‘Gemthane’ lifetime warrantied, locally manufactured, FSC Eastern White Pine factory finished wood siding. Reclaimed Douglas Fir exposed floor joists, roof rafters and T&G 2×6 decking throughout, salvaged from Ottawa military hanger. LED strip lighting lines the family room. The on site rainwater drainage collection to drywell collection system is strikingly impressive. The drywell collection system is designed for future cistern retrofit and for rainwater and/or grey water harvesting. To assist with water consumption there are low flow bathroom faucets and dual flush toilets. Not to mention geothermal preheating of domestic hot water. Even the ecosystem of the backyard is set up to help water demand. Our clients are growing tolerant native plants, with no invasive species, to minimize outdoor water demand and synthetic chemicals. Interior walls – BM ‘Collection Series’ – latex. Note: Minimal colourant added to the interior paint bases further minimizes VOCs. Beeswax on steel beams and columns. Millwork: Natural White Oak veneer, locally pressed, regionally milled on no added formaldehyde MDF board. Natural Maple veneer locally pressed, regional milled on no added formaldehyde, locally pressed, regionally milled plywood. Maple hard rock melamine on no added formaldehyde particle board, locally pressed. White lacquer on no added formaldehyde MDF board (20 fold durability of solvent based lacquer outweighs sustainable attributes of water based lacquer). Baltic Birch plywood drawers throughout (superior strength, pricing outweighs locally produced high strength plywoods). Radon barrier/ventilation below basement slab. The drainage system should be placed at the bottom of all wall cladding. Properly flash all windows/doors, use peel and stick membrane [ensure it works with PIC board]. 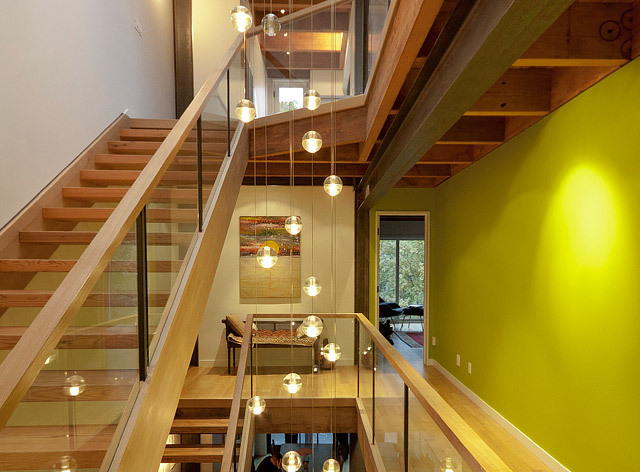 Here is a list of green building practical ideas which can easily be added into any project. These kinds of ideas need to be brought up as talking points early on in the planning of a project to allow for proper design integration and trade awareness. 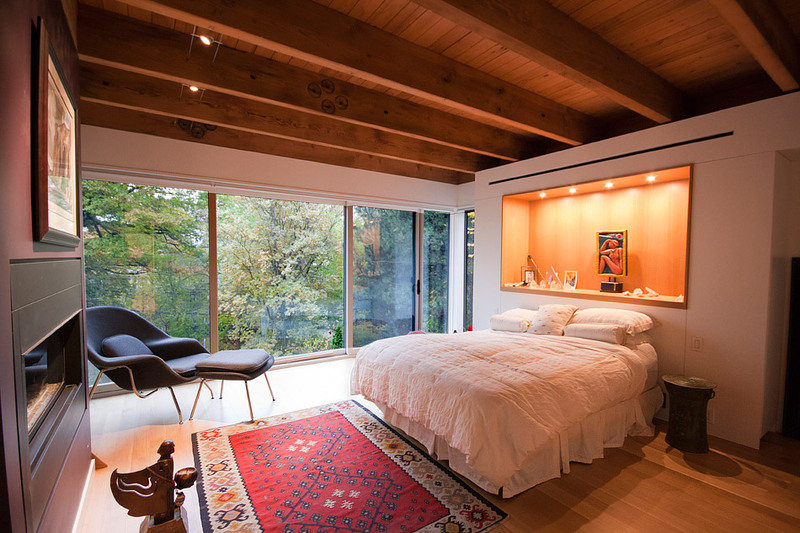 Move the main service underground or if above ground away from the bedrooms. Position the wireless water meter away from bedrooms and family areas. Line voltage pot lights (no transformers) LED bulbs. Electro magnetic field testing and strategy should be discussed during the planning stage. Avoid looping electrical wires around bedrooms (electro magnetic fields). also knob & tube can increase magnetic field readings, this should always be a priority to be removed when/where possible. Whole house capacitors (or isolators) – prevent dirty electricity from coming into your house from the electrical service. Always use shortest direct routes on wiring & use bundled/shielded wires. Clean out gutters/extend them away from house. External Waterproofing: No asphalt foundation coatings/damp-proofing to be used indoors, or outdoors above grade. Cement-based damp-proofing is more resistant to water and aging and although it contains acrylic additives it is generally used outside (Xypex, Sta-Dri, Thoroseal). Metal studs in basement where possible. Sealed sump lids. Venting of sealed sump pump can be added, vent pipe to be 30” above grade. Create a radon mitigation system plan. Install a weeping tile pipe that will run independently of the weeping system into a storage/mech room and up 8” from exterior wall, capped ready for possible addition of a fan if needed in the future. Adding a fan will activate the air below basement slab and move it outside of the house. Air Vapour/moisture extraction system activate weeping tile systems and vent outside with a fan and humidistat. Air gap between concrete wall and 2×4 stud walls in basement, for good air flow. Thorough cleaning should happen after demolition/rough phase. This cleaning is primarily to remove dust (which can contain lead, chemicals, fire retardants, etc…). Cleaning should include rough cleaning (sweep, shop vac. ), and then HEPA vacuum (or possibly ULPA), and damp-wipe or mist wipe of ALL surfaces. 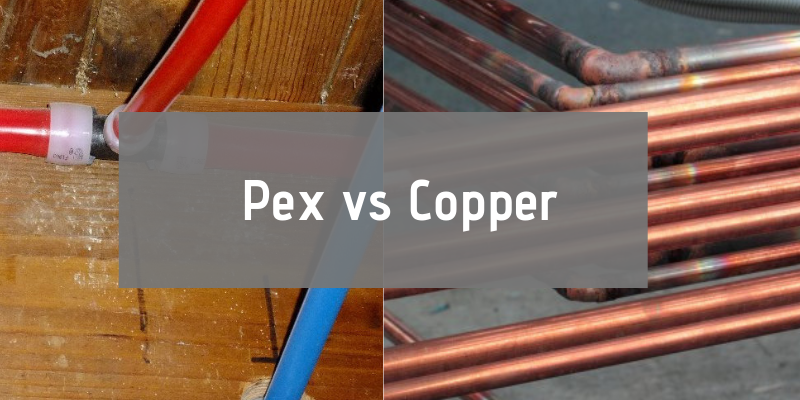 The drawbacks to copper lines are that they more expensive, harder to work with, may increase copper exposures, and may allow current to run on the lines through the house. The drawback to PEX lines is that they are plastic although they have been used in Europe for 20 years or more. Water solutions depend a bit on what you need or want, and that depends on your concerns and how elaborate you want to go. City of Toronto water annual report is available to all residents. Parameters almost always fall within the acceptable standards under the Canadian Safe Drinking Water Guidelines. These guidelines include a target level for Fluoride, which many people do not want. Some trace amounts (often below laboratory detection levels) of chemicals including antibiotics, estrogen mimickers, and other pharmaceuticals may also be present in Toronto water. Some people filter all their water; some filter only their drinking water. Systems range from simple carbon systems to 21 stage water enhancement systems. Carbon filters do not remove fluoride. Reverse Osmosis (R.O.) systems are often recommended as the standard system (it almost always involves a carbon pre-filter and post-filter). The draw-back is that they remove all minerals, and they are important for health. So, people often add minerals back into R.O. water. R.O. systems must also be monitored properly to ensure they are working properly. Never-the-less it is scientifically accepted that chlorine and chlorine by-products (such as chloramines and trihalomethane) are not good for people, and that the most exposure comes from showering or bathing. Therefore, we recommend a carbon filter for showers (and baths). Most conventional plywood is bonded with formal adhesives that are classified as a probable human carcinogen. The two most widely used formaldehyde adhesives are urea formaldehyde (UF) for hardwood plywood most often used inside the home for cabinetry and panelling , and phenol formaldehyde (PF) which include most softwood plywood used for outdoor and structural applications, like sheathing and floors. The more expensive resistant PF, which off-gasses at a much slower rate (vapours will persist longer, but at much lower concentrations) are considered safer, so these should be used instead of UF, or purchase “formaldehyde free” plywood for indoor use. Alternatively AMF Safecoat makes a sealer that can be used to seal plywood and keep the harmful vapours from seeping into your home. Rubber-based adhesives for membrane and engineered wood –meets wood floor manufacturers requirements, easy to spread and clean, can be used with in-floor heating systems, low VOCs. Do not use urethane, or polyurethane caulk. If silicone caulk is required use neutral cure rather than acetic acid cure to achieve low odour. Silicone caulking (and other caulkings) intended for bathroom applications have added fungicides. GE Silicone II for doors and windows (not GE Silicone II for bathtub and tile applications). AFM 3 in 1 Adhesive Multi-purpose. Putty (linseed based) is better than caulking, or an equally comparable product that has the least VOCs possible (No VOCs and few other hazardous ingredients), preferably with 3rd party certification from Greenguard Children and schools certification, or Green Seal, or Ecologo (in Canada). Best option is to use thick-set motars (cement mix) or use thin-set mortar (dry cement mix with water) layed on concrete (Kerabond). Thin-set mortors usually are 2-part (dry mix cement with acrylic additive to give flexibility) are generally used if thin set on wood subfloor (Ultraflex, Kerabond with Keralastic additive). If using acrylic additive use one with no odour or low odour.